Island Walk has been at the apex of new home construction in Venice FL for quite some time. The builder, Divosta Homes, has a stellar reputation for building quality homes all over south Florida. Island Walk will eventually consist of 2,400 residences, and at a rate of 150-200 units per year, new homes will be built in Island Walk for the foreseeable future. Today I toured their new model homes and their on-site showroom. They also have two interactive online touchscreen monitors, where buyers can configure their homes with desired finishes and see the price right away. This truly sets Island Walk apart from the other new homes in the Venice area. The Martin Ray model home has a nice open plan and large caged pool and covered lanai. The Abbeyville model has nice touches such as a curbless shower and a butler's pantry. I recently visited Sarasota National in Venice. There's a lot going on here with a lot of new home options for buyers. Sarasota National has been around for a while. It was acquired from the original owner by WCI, after the real estate market downturn. Many people consider it a golf course community, but you can purchase a new home, villa, or condo without belonging to the golf club. 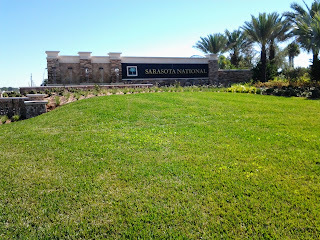 Sarasota National is located east of Venice on Hwy 41, about 4 miles from downtown Venice. Yes, I mentioned condos as a housing option in Sarasota National. Most of the new home builders in the Venice and Sarasota areas are concentrating on single family and villas because they are more profitable, but WCI is offering "carriage homes" in Sarasota National. I toured several of the model homes and villas during my visit. If you've ever visited Venetian Golf and River Club in Nokomis, another WCI community, you will find similar floor plans and exterior elevations. If you're looking for a new home in the Venice, FL area, you won't want to miss Gran Paradiso by Lennar. Located on Hwy 41 about 5 miles east of downtown Venice, Gran Paradiso is a modern take on Tuscan style, offering an impressive resort-style club house and pool. One of the best features of Gran Paradiso is that all homes have access to the clubhouse and are maintenance free, which means law mowing, irrigation, and exterior pest control are provided with low homeowner association fees, which vary from around $150 per month to around $225 per month for some of the villas. I found some of the floor plans, such as the Princeton II, a bit disappointing in that a formal dining and living room are still offered, where most of today's buyers want a more open concept. Today I was fortunate to tour a new home community between Englewood and Venice called Keyway Place. Keyway Place is built by Ryland Homes and is located just south of Manasota Beach Road on Hwy 776. Keyway Place doesn't look like much from the road, but the community will have 70 homes, all single story. Prices start in the $230's. I was highly impressed with the model home. I really liked the floor plan for this model home, which is the Heron model elevation B. The placement of the den was logical, yet so many other builders tend to place this room on the side of the house rather than the front. A starting price of $243,000 for 1635 sq ft for this model is a good value among new homes in the area. There are no CDD fees in Keyway Place, and HOA fees are only $186 per month. 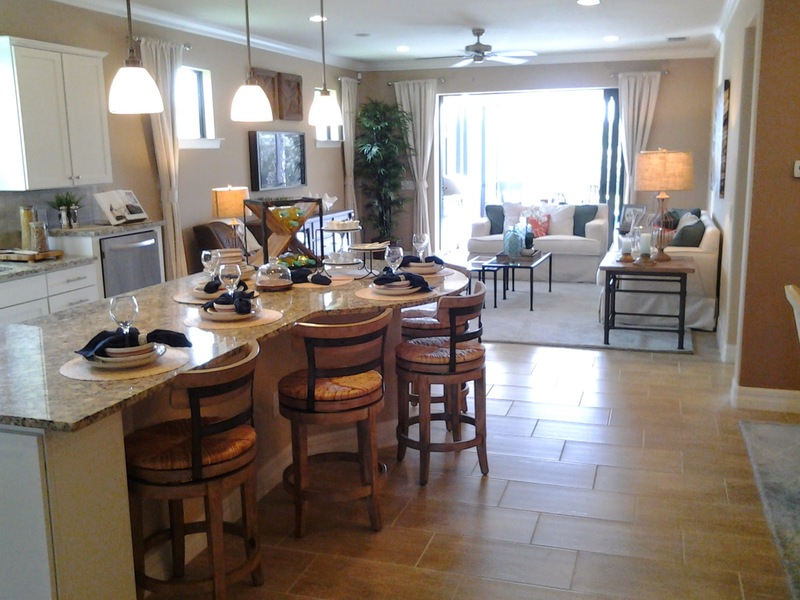 I recently toured a new home community in Venice, FL called Grand Oaks. 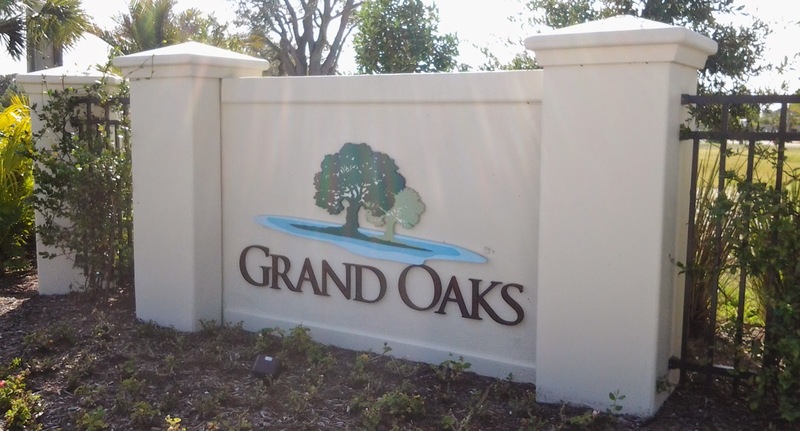 Grand Oaks is a small gated and walled community of just 55 homes, located on Venice Avenue west of Jacaranda Blvd. Home prices start at just under $300,000. A brand new Publix is within walking distance, and it's just 3 miles to downtown Venice attractions. Grand Oaks has no CDD fee, with monthly homeowner association dues of just $199 per month and a very nice community pool. This is a good combination of lower taxes and fees for a new home community. Please click here for elevations, floor plans, and pricing information and contact me if you'd like to schedule a tour of this new home community or any others in the area. Today I visited Calusa Park in Nokomis by DR Horton. Calusa Park is just off Laurel Road, between I-75 and Tamiami Trail. 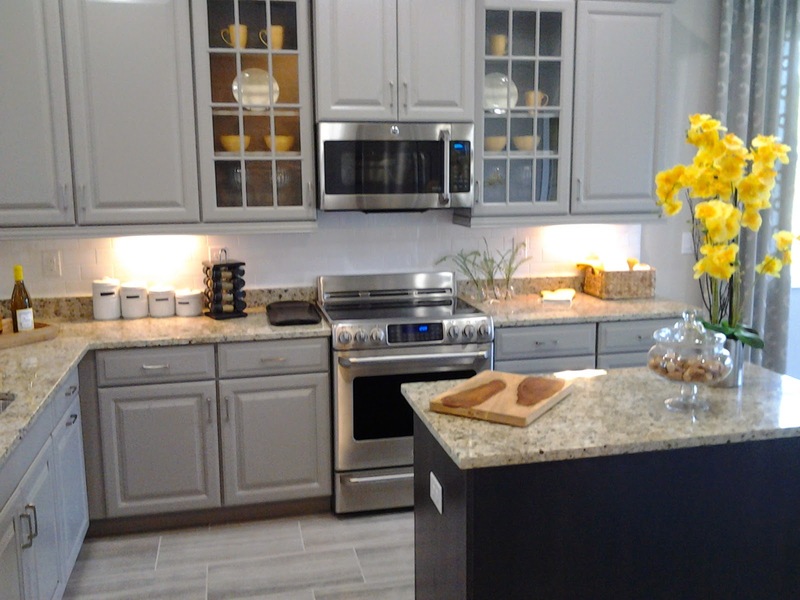 Calusa Park is a gated community of just 80 homes, with prices starting in the upper $200's. There are 12 quick move-in homes in the pipeline, which will be ready beginning in January. Floor plans include both single story and 2 story homes with up to 5 bedrooms. 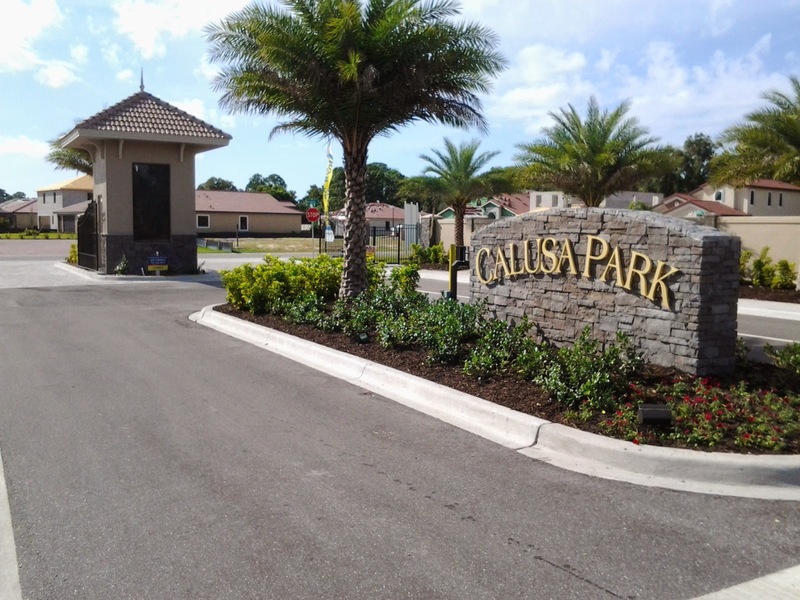 Calusa Park has no CDD fee and a very low home owner association fee of $176 per month, which includes lawn maintenance and a community pool (to be built). Calusa Park has an attractive location, close to schools and shopping, and is only minutes to Nokomis Beach. With such low fees, anyone looking for a new home in this price range should add this community to the top of their list. Click here for a list of available floor plans, community features and more pictures of the model homes. Welcome to my New Homes Blog! 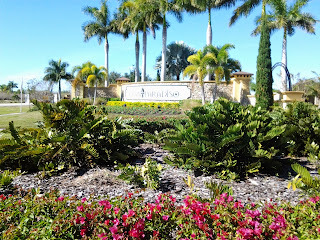 This blog will be about new home communities in Sarasota, Venice, Nokomis, and Englewood FL. I will personally visit each new home community, post links to floor plans and elevations, and answer common questions home buyers have about new homes. My goal is to visit at least two new home communities each week. I invite comments or suggestions on new home communities to include here on my blog. www.davidbarrhomes.com for Venice, Nokomis, and Englewood real estate;blog.davidbarrhomes.com for the latest real estate news and trends for home buyers and home sellers;englewood-fl-real-estate.com for Englewood and Manasota Key real estate.